The photos and links at this page are meant to accompany an article that I wrote for the Society for Commercial Archeology's Journal. 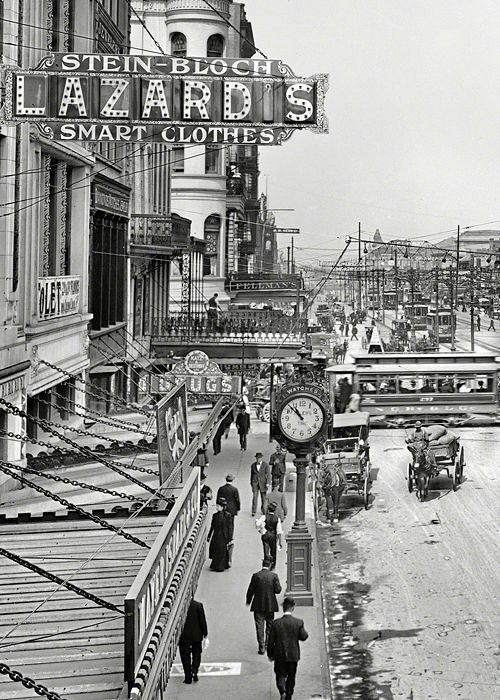 American streets were transformed in the early 1900s by the proliferation of electric signs. Miraculously, a number of these signs still survive and remain on public display. In 1882, the first electric sign with incandescent bulbs appeared at the International Electrical Exposition in London, England. This sign was created by William J. Hammer, an assistant of Thomas Edison. The bulb-filled letters spelled out "EDISON" and a manually operated giant switch created flashing action. While Edison did not invent the light bulb, he did create the first commercially practical design which was patented in 1880. Initially, these bulbs were too large and expensive for commercial signs. However, by the 1890s, smaller bulbs were developed and the cost of electricity had gone down. A motor was also developed during this time to create flashing signs. The first electric “spectacular” sign was erected in 1892 in New York City. It was installed on the side of a building on the site of today’s Flatiron Building. 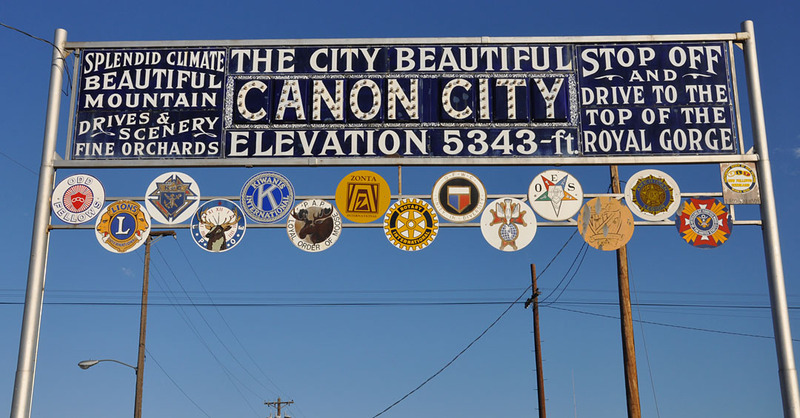 The sign was 50 feet tall and 80 feet wide. It held 1,457 bulbs of different colors and had a hand-operated flashing mechanism. The sign operated from dusk until 11 o'clock each night. It read "Buy Homes on Long Island, Swept by Ocean Breezes." It also advertised for two theatres, Gilmore's Band, and Brock's Fireworks. This sign was the precursor to the countless electric signs that would line Broadway and earn it the nickname of "The Great White Way" by the late 1890s. 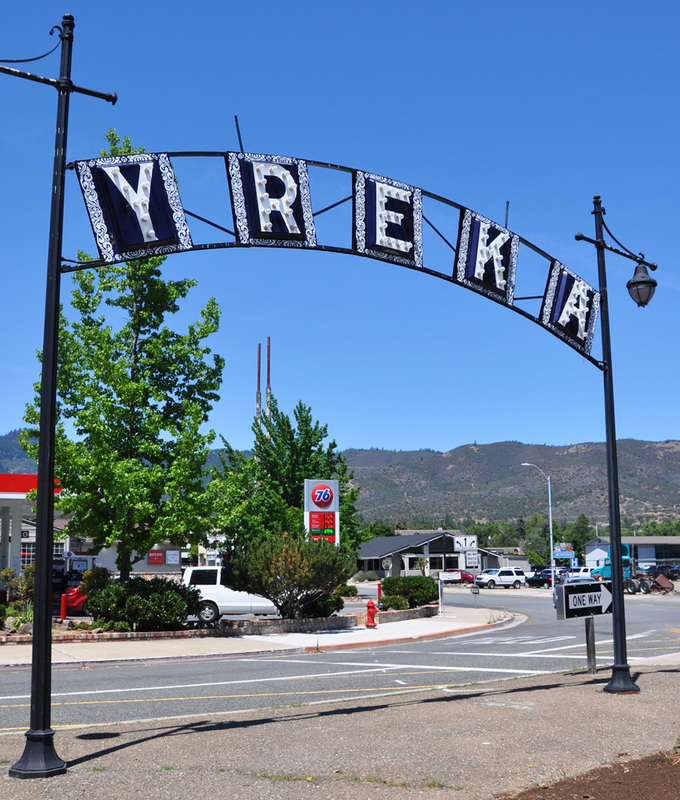 These early electric signs were a distinctly American phenomenon. By 1906, there were an estimated 75,000 electric signs in the United States. Businesses recognized the importance of 24 hour advertising. Cities enthusiastically welcomed these signs as a public service since they promoted safety by illuminating sidewalks and roadways at night. 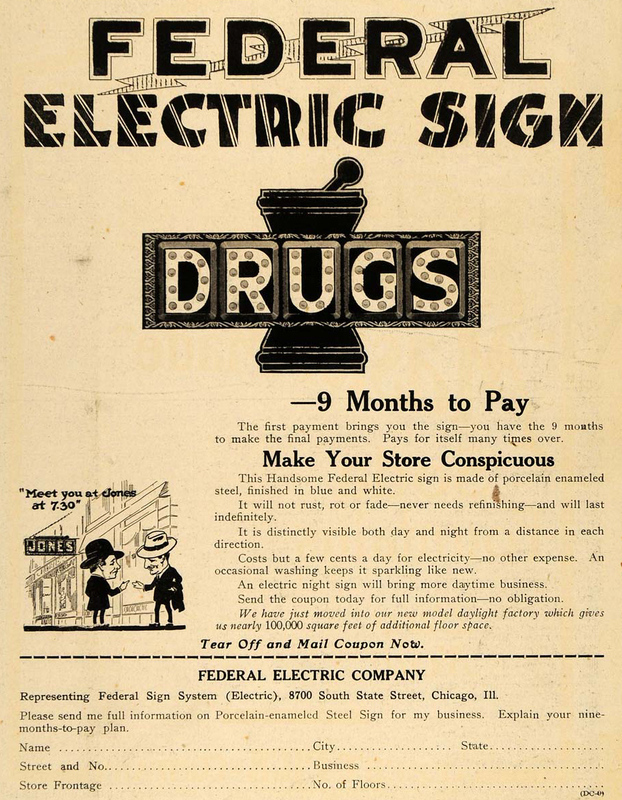 The earliest and largest producer of electric signs was the Federal Electric Company which was established in Chicago in 1901. Federal Electric was an off-shoot of the Commonwealth Edison Company. The company’s earliest signs were framed panels. The central panels were illuminated with bulbs installed in sockets around the frames. Business owners could choose from generic text such as "Drugs", "Hotel", "Cafe", "Cigars", "Lunch", or "Garage". Custom panels could also be made to display the name of the business. It is believed that the frames were always white while the center panels were consistently dark blue with white letters. These frame signs were the most popular type of electric signs until around 1910. 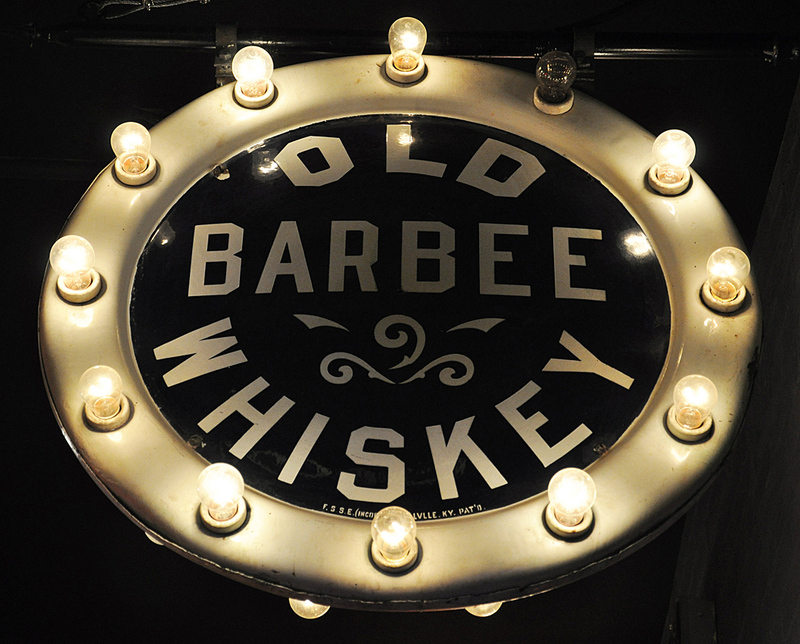 This Old Barbee Whiskey frame sign is probably from the 1900s or 1910s. The company was established in Louisville, Kentucky in 1892 and folded in 1920 during Prohibition. These round production signs were commonly used by the brewery trade. 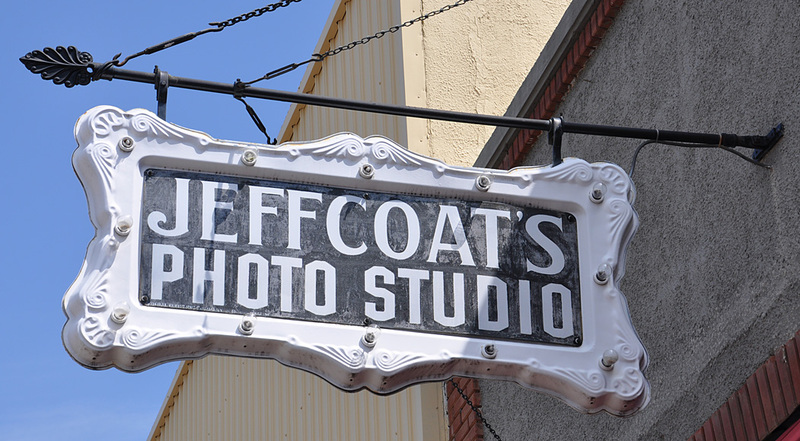 This sign was installed at the American Sign Museum but is now in a private collection. 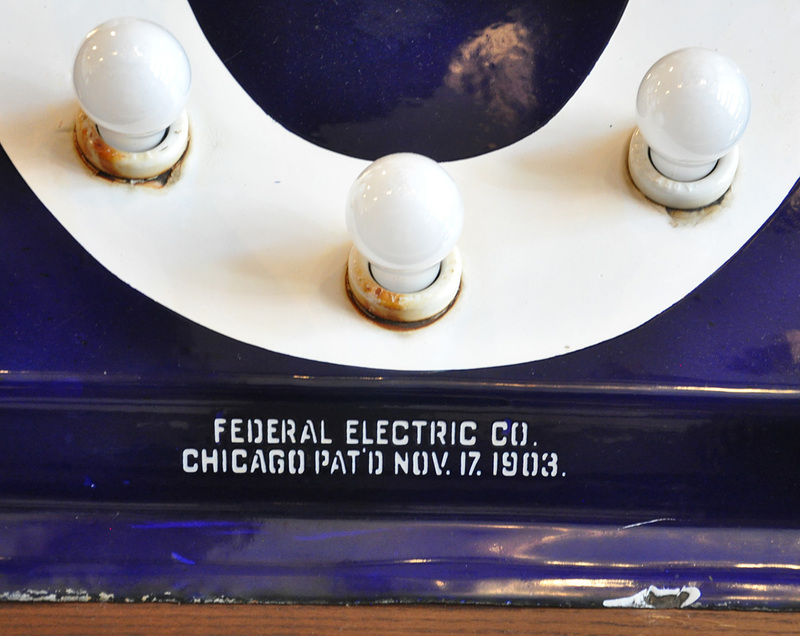 In the early 1900s, Federal Electric and other sign companies began producing sign panels with bulbs installed directly over the letters. This improved the readability of these electric signs at night. This design change was carried to the next level in 1903 when Federal Electric developed and patented its modular letter signs. The company called them “sectional lamp letter signs.” The signs were composed of mass-produced, individual 16 inch tall letter panels. These "off-the-shelf" letters could spell out the business name or more generic text. This concept made sign construction faster and less costly. To further entice customers, Federal Electric offered these signs on installment payment plans or leased the signs to customers. When businesses closed, these modular letters could be removed by the sign shop and recycled to create another sign. The letters could also be animated with a flashing mechanism if the customer desired it. By the 1920s, Federal Electric had offices in all the major cities in the United States and was producing thousands of these sectional signs. Today, there are only about a dozen of them still hanging. 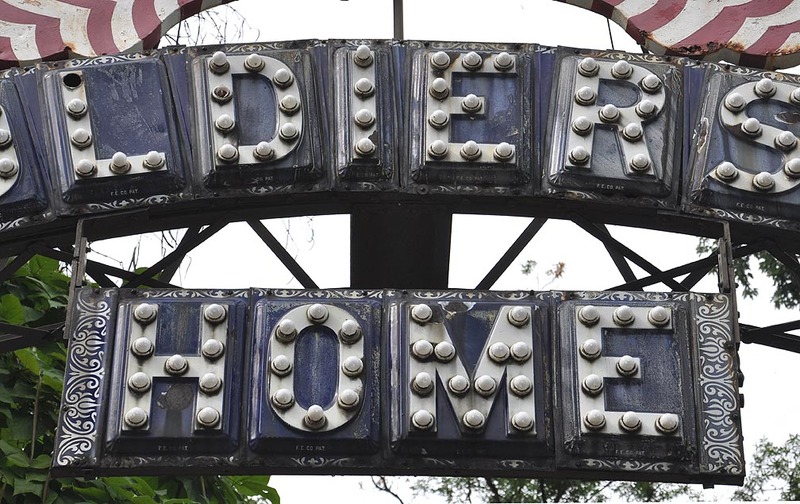 These letter panels, like the earlier frame signs, were produced from porcelain enameled steel. This material was superior to earlier painted metal signs which were prone to rust and required repainting every few years. Porcelain panels are virtually indestructible and a quick rubdown with soap and water keeps them looking brand new. 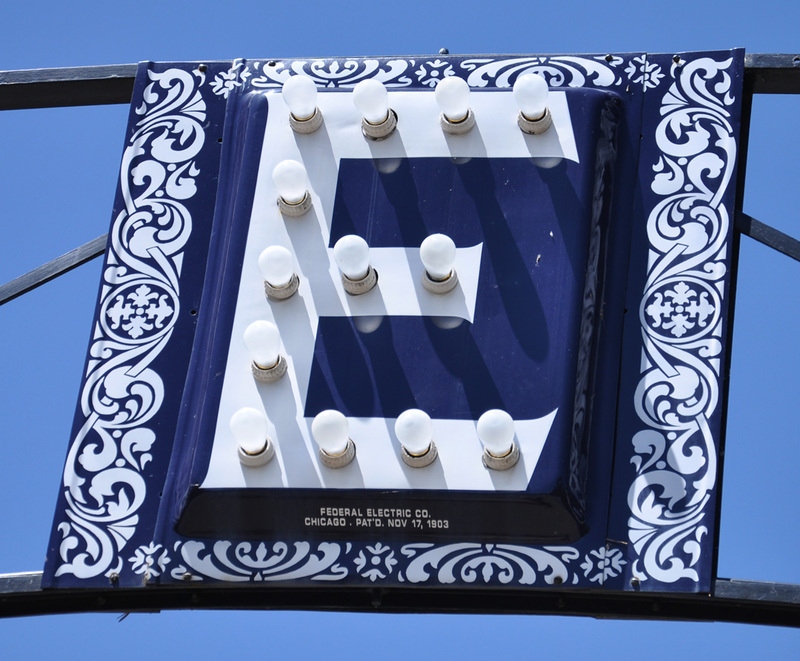 Porcelain enamel continued to be the preferred material for neon sign panels. It was not until the 1960s when this material was all but phased out in favor of cheaper, plastic panels. Kolb's Restaurant opened its doors in 1899. This sign was installed sometime between 1910 and 1925. The ornamental panels above and below the sign’s letters were options offered by Federal Electric. The sign company also sold customized add-on panels for generic signs. This was practical and cheaper if the business had a long name. Federal Electric also gave its customers choices for border details. 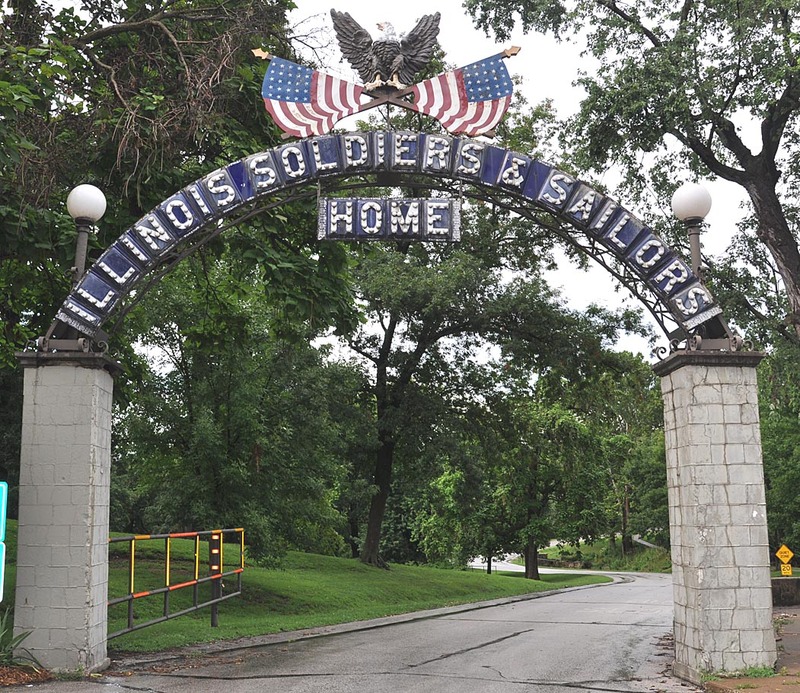 From the remaining examples of these sectional signs, we know that there were at least four border designs available. 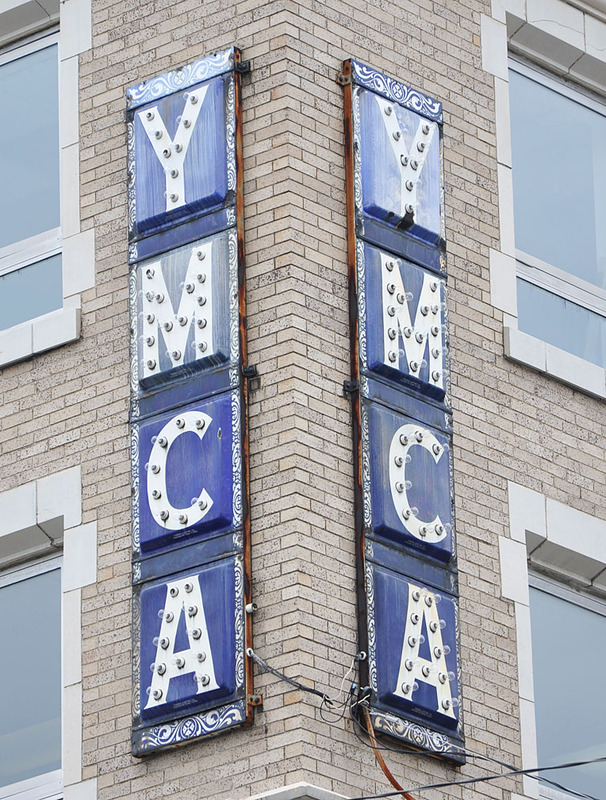 This YMCA sign was installed at an operating YMCA facility. This sign must have originally been a back-to-back projecting panel sign. It was probably installed lower on the building or at a different location. This photo is from 2010. It was still there in 2013 but gone by 2017. 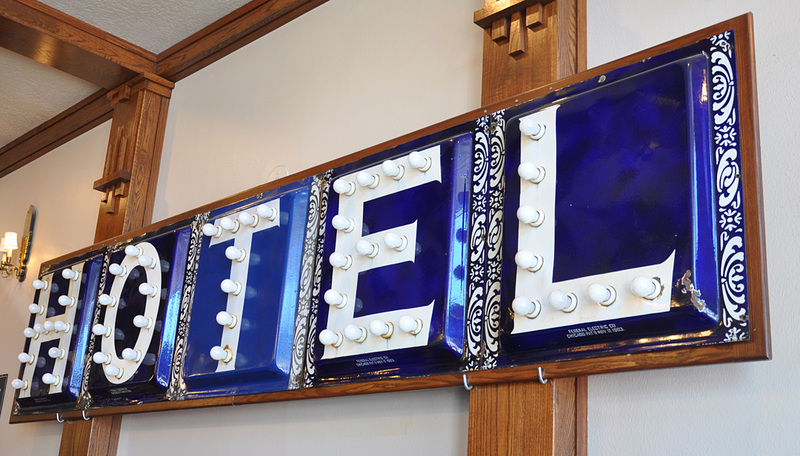 This Federal Electric "Hotel" sign is on display in the cafe inside the Enders Hotel. The hotel was built in 1919 but I don't think this sign was ever displayed on its exterior. If you know of any other signs like these, I'd love to hear from you.